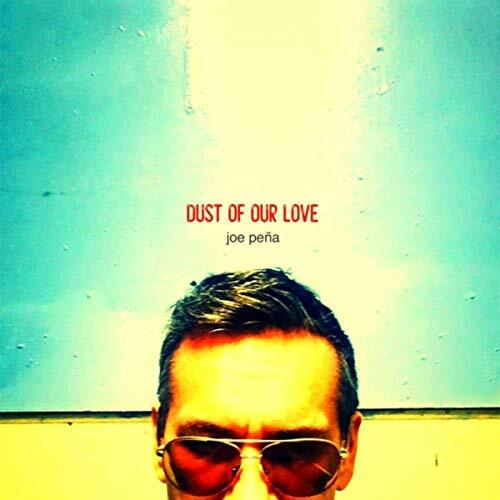 The debut solo album Dust Of Our Love from desert rock veteran Joe Pena is nothing short of amazing. In the span of 16 tracks he takes you on a journey through the soul of a man haunted by his past and possibly his future. He’s made mistakes, to be sure, and will inevitably stumble again, but in the midst of these adversities he has also come to terms with himself, he’s paid his dues and a new dawn is approaching. Fronting the Tucson band Greyhound Soul since 1994, Joe has cut his teeth long ago and emerged as a competent singer/song writer and musician. Although their last album Tonight And Every Night came out in 2007 they remain active and put on one hell of a show. On Dust Of Our Love he plays quite a bit if not most of the instruments himself, but employs an impressive roster of talent to round out the album. Sharing production credits with Joe is the Grammy winning Bill Elm, notable by most for his work on the Red Dead Redemption OST, but a personal hero of mine as the man behind fellow desert rock royalty Friends Of Dean Martinez. Bill also lends his trademark steel guitar and organ work on the album, and although his influence over the record is quite noticeable, he takes a backseat and allows Joe to really shine as the star. Their mind meld is a darkly forlorn yet beautiful thing to behold. Van Christian from yet another seminal Tucson band (Naked Prey) makes an appearance as well, as do Friends of Dean Martinez alum Mike Semple and French expatriate Naim Amor to name a few. Dust Of Our Love begins with the dusky Stuck In The Mud and sets the pace for the rest of the record. Evoking the great Leonard Cohen in vocal styling and dishing out a hefty helping of reverb guitars, this track blows in like a west Texas tumbleweed across David Lynch’s Lost Highway and speaks of a man trying his best to no avail. The somber tone continues with The Ghost. Joe talks about the ghosts of his past still watching everything he does and lamenting on the things he could have changed or what he could have been had he done something/anything differently. On the slow and plodding Sinner he admits to causing hurt and pain to a loved one, but also treating them like a queen as if one made up for the other and justified the means. It ends, seemingly without closure, and adds another ghost to his closet. The trippy, dreamlike Settle Down finds him proclaiming, “Settle down, I’ll get you close to forever” but also warns ” I can’t be here forever”. His signature raspy voice lends itself well to these songs, itself a telling tale of his life choices. Joe then switches gears for the blues rock track Badman. “I’m a bad bad man with a bad bad heart”, Joe sings and later admits to cheating but still offering to “Make sweet love to you”. It’s in this moment you realize that Joe is still wrestling with the pain and suffering he has endured in life and also caused, either by happenstance or as a direct result of being morally wounded by others. He knows it isn’t right, but the feeling of redemption and retribution offer a sojourn to the mediocrity even if only for a moment. These songs provide him with a respite to the doldrums that time imparts upon his psyche and soul, laying himself out bare, as he is in all his glory, for the world to see…unashamed and unabashed. Several tracks on the album including So High/ Miles and Miles, the raucous Cowbell Blues, the sublime Where Are You Sun, and the aforementioned Badman all see Joe if not emulating, then definitely summoning the spirit of the legendary Tom Waits. As a huge fan of Waits, it is virtually impossible for me to listen these tracks and not hear the similarities. And that is certainly not a bad thing. The fact that I could presumably play these tracks to somene who didn’t know any better and pass them off as Tom Waits is a testament to his craft, not as a mimic, but in an adaptation of those themes filtered through his life, in as much as they are both troubadors of the human condition, and what draws you in is the connection made by the listener.